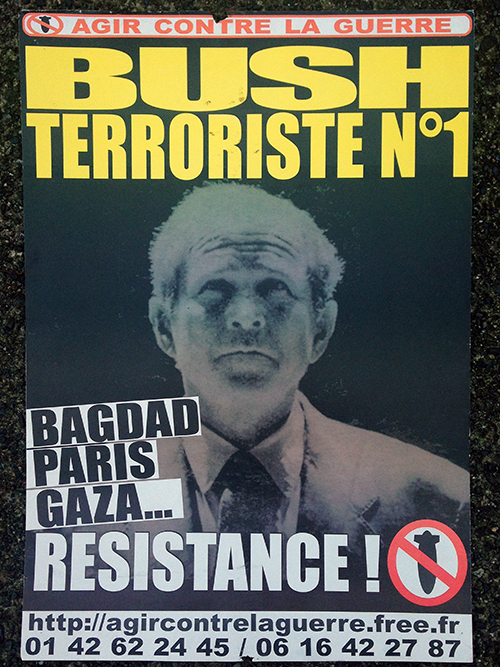 A friend and I arrived in Paris in 2005 at the tail end of a an anti-Bush, anti-war protest in the Bastille. This poster had been left behind and I kept it. Bush was in Paris to comemmorate, ironically, the 60th anniversary of the end of WWII. The war on Iraq (that edition of it anyway) was in 2005 only two years old. Occupy Vancouver had a promising start on a warm, beautiful fall day. 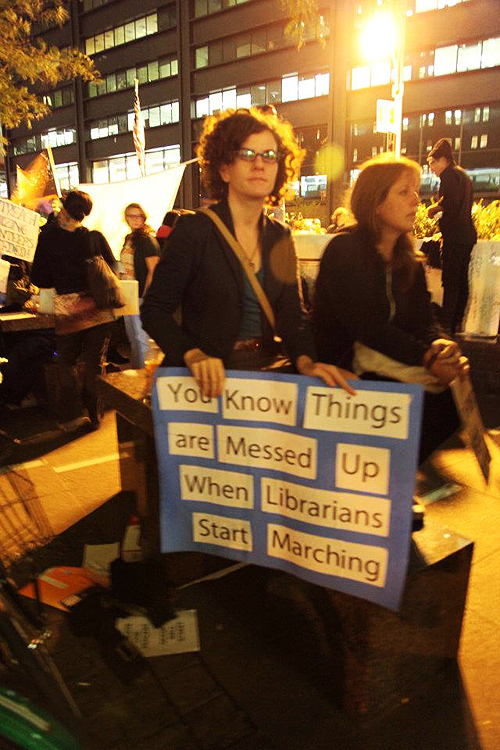 Most of the photos here were taken by a friend of mine, Canadian filmmaker Velcrow Ripper, at Occupy Wall Street. Reproduced here with permission. 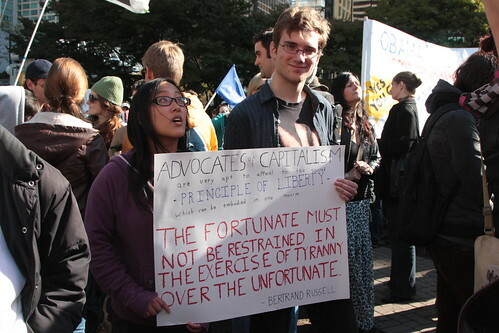 See his whole gallery of Occupy Wall Street photos. I would like to nominate the protest sign—all the protest signs of this year’s worldwide uprisings, in general—as the pre-eminent design object of 2011.